The Tolk amusement park, located in northern Germany, emerged in the 1960s as a fairy tale forest destination. The 74 acres park has more than the usual attractions such as rides, petting zoo, playgrounds and barbeque grills. 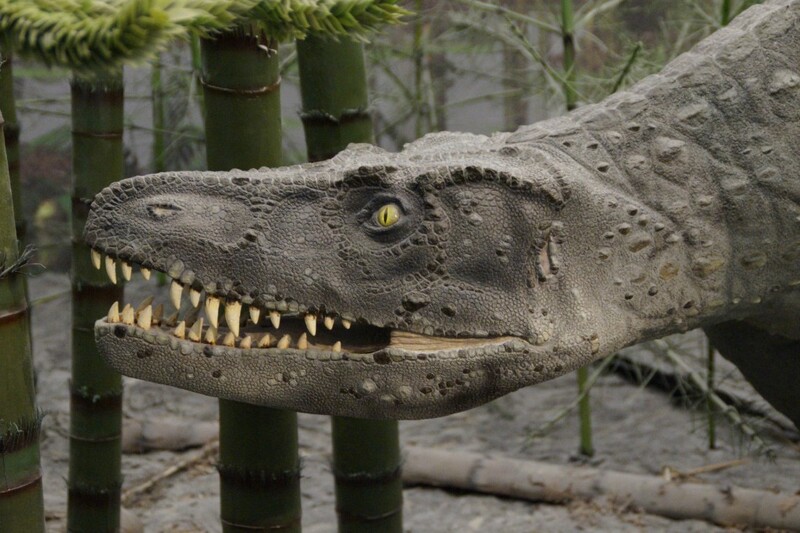 Park goers can also find reconstructed dinosaurs; a railroad museum; a historical Normal gauge steam locomotive; a model of the city Kappeln; a mini medieval town of Schleswig; and several collections of mushrooms, butterflies and insects, mineral and fossils, agriculture equipment. Entry price is €19,50 per person and free for kids under 90 cm. The seasonal amusement park in Sierksdorf, off the Baltic Sea, was opened in 1977. Hansa is the 5th largest amusement park in Germany and attracts more than a million visitors each year. Hansa’s grounds are divided into eleven different themed areas including the Medieval Fair, Pirate Land, Western Town, Adventure Land, Mexico and six others. Each area consists of rides and shows based on the theme. The shows and events include a water circus with a sea lion, a children’s theater with a parrot, an open air theater (a comedy magic show, a children’s show, etc. ), a laser show and a huge parade. A popular ride for the thrill lovers is the Flying Dutchman. In the shape of a pirate ship, this ride swings 80 feet into the air, back and forth just like being on the rough seas of the world. The little ones can buckle up on Odin’s Travels through the Sky as it glides back and forth and bounces up and down. Entry prices are €29 for ages 4-14, €36 for ages 15 and older, and free for kids under 4. 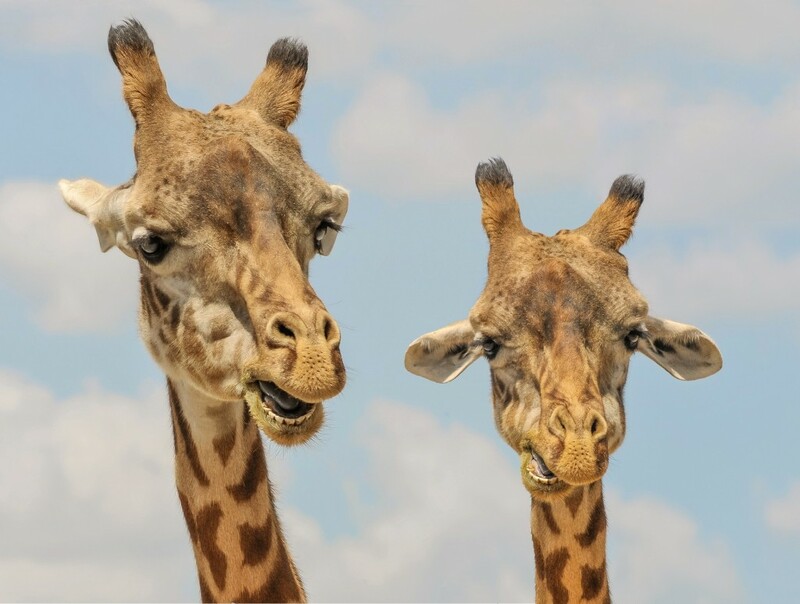 The animal and leisure park in Thüle, northern Germany has eight and half acres of wildlife and amusement attractions for the whole family to see and enjoy. There are more than 600 animals from around the world as well as various rides and play equipment for the young and the young at heart. In the wide outdoor enclosed and humanely designed accommodations is the home for approximately 120 animal species. A favorite for most visitors are the various species of monkeys. Audible and visual highlights at the park are the pink flamingos, red ibises, herons, ibis, egrets and many others. Not to be missed are the South American Humboldt penguins, Sumatran tigers, lions, hippos, camels, Bengals, kangaroos just to name a few. The little ones will have a wonderful time on various rides and play equipment such as swing boats, slides, tractor trains, roller coasters, carousels, trampolines and an array of others. Entry prices are €15 for kids (ages 3-13), €17 for those older than 15. Heide Park is located in Soltau, Germany, about one hour outside of Hannover. Consisting of 210 acres, Heide Park is one of the biggest amusement parks in the country. The park is divided into five areas: the lower Saxony style buildings, The Pirate Land, Transylvania (a medieval style castle surrounded by a forest); the Land of the Forgotten (with the park’s award winning wooden roller coaster); and the Wild West. Heide Park has 40 rides which target families but its thrill rides are also very popular. One of the most highlighted rides is the Colossos, a wooden roller coaster, which is the second steepest wooden roller coaster in the world. The Flug der Dämonen (Flight of the Demons) ride is Germany’s first wing coaster. This steel roller coaster reaches a maximum of 4G positive as the pairs of riders sit on either side of the roller coaster track with nothing above or below the riders. The Mountain Rafting is a fun family ride that simulates whitewater rafting. 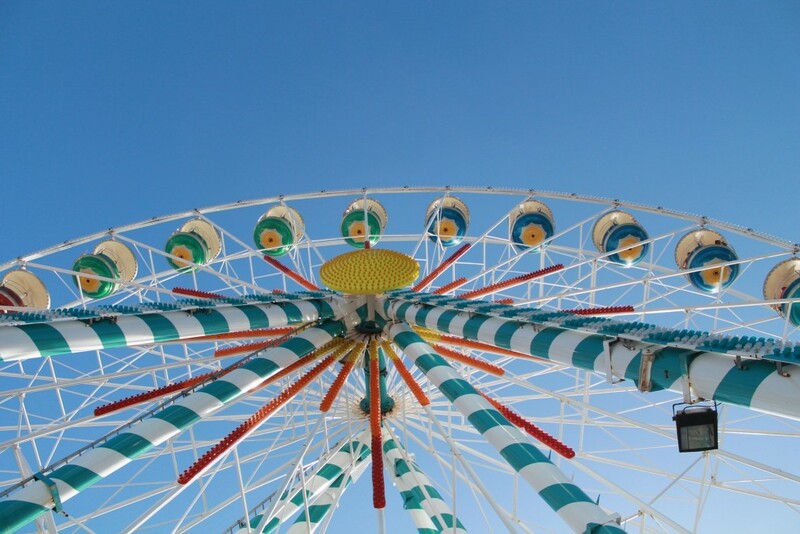 Some of the kiddie highlights include the Koggenfahre (a circular ride); the Lucky Land (a play area with gold digging, horse shoe throwing & more); Nostalgic Carousel; Screamie (a 40 feet tall mini drop tower); Sea Horse Bay (a paddle boat for kids); and many more. There are five shows available each day at Heide Park. They are the Ander of Mayan (a 25 minute show about the Mayan Indians); Gold of Port Royal (a 35 minute pirate show); Hello Spencer (a 20 minute children’s show based on a popular TV series); Puppet Comet (a 10 minute puppet show); Madagaskar (a 30 minute show based on the movie). If you are looking for a place to stay, at the park are the Hotel Port Royal and the Holiday Camp. The hotel has 150 family rooms and 16 suites while the camp has 81 Caribbean style wooden houses with a total of 536 beds. The price for kids 3-11 is €39 and for ages 12 and over is €46. There is a discount in price when booking online. Jaderparks in Jaderberg, is in the northern part of Germany, here the animal and leisure park attracts parents with children under the age of 12. The park has three areas: the zoo, the amusement park, the adventure park and children’s play zone. The amusement park area covers 1.5 acres with kiddie rides, sports equipment, play equipment and two funny electronic theaters. 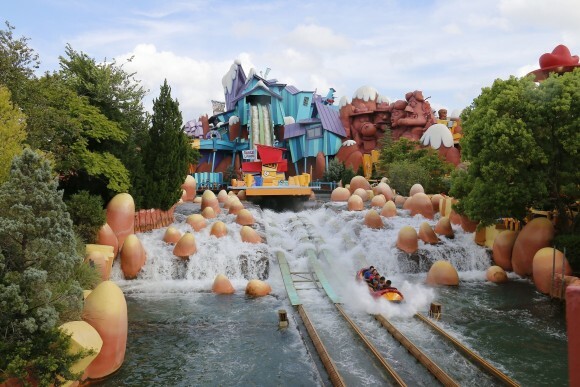 One of the main attractions is the log flume, a fun water ride. Also to get a great view of the amusement park, hop on the Albatros (albatross), a self-propelled high lift which moves on your muscle power by pedaling. The zoo has more than 600 animals from around the world including 35 species of mammals, over 70 species of birds and some reptiles and fish. Observes can watch the antics of monkeys, lemurs, lions, giraffes, zebras, ostriches, pelicans, and many many more. Prices are €15,50 for kids ages 3-12 and €17,50 for all over the age of 13. The Serengeti Park, located between Bremen and Hannover, is an animal, safari and amusement park. The park has 1500 wild animals from around the world that are roaming freely on 110 acres. This park is ack­now­led­ged as a zoo­lo­gi­cal gar­den. Additionally, there are various recreational attractions, shows and games and more much more. The park also offers lively fun for the entire family with approximately forty attractions located in one large area. Some of the fast paced rides are: White Water Log Ride, Dragon Carousel, the Swing Boat Ride, Breakdancer, 56 feet Free Fall Tower, the Kumba Twister, the Hanging Bridge, Condor and more. Not only are there kid friendly rides, but there are also children playgrounds, slides, trampolines and a baby park. Entry prices are €24 for kids (3-12 years old) and €30 for adults. The Safari Bus Tour is €5. Erse Park, near Hannover, is a nature and garden park with replicas of prehistoric animals (mammoths and dinosaurs) and a Neanderthal settlement. Additionally, the park has 40 rides to excite the young and the old. Take a journey by boat into the world of dinosaurs. The Dinosaur Kingdom is an open-air museum led by Dr. Thies from Hannover. There is also an exhibition on the evolution of elephants as well as the evolutionary history of man. To cool down on a hot summer day, board the Stone Age Canoe and prepare to get wet! The little ones will have a wonderful time at the World of Kids, a child-friendly leisure facility. In the nostalgic forest your kids will be enchanted by the magical world of Snow White and the Seven Dwarf, Cinderella and Rumpelstiltskin. The little visitors also can take a cozy tour through the forest on one of the park’s tractors. Children under 2 years old have free entry!! Located one hour west of Hannover in the town of Minden, Potts is a family friendly park that offers adventure, a chance to be creative as well as educational. Adventure can be discovered on one of the various rides including the train, family coaster or the flume ride. Potts is the only amusement park in Germany that has a science center, which can get creative juices flowing while learning. Young and old will be dazzled by the spectacular laser shows that are held daily. There are six different incredible slides including one with a 60 degree tilt. The Jumping Pillow game at the park promotes children’s motor skills and sense of balance while providing weightlessness fun. Located on the park’s ground are several museums including the scientific Museum Terra. This interactive museum is filled with optical illusions and physical surprises. The exhibit includes not only optical illusions, but also mechanics, acoustics, electrical, aerodynamics, mathematics and caloric theory. Entry prices are €18 for ages 3-11, €20 for 12 and older and free for kids under 3. Rasti Land is a smaller amusement park in southern Lower Saxony. This family owned park has 40 attractions specifically for families. The main attractions are the rafting in the realm of T- Rex, a Rapid River, the train Blizzard and Dino World. The park has roller coasters, water rides, free fall rides, go karts, Jeep off road tracks, bumper cars, and a western railway ride. Entry prices are €19 for ages 3-11, €23 for 12 and older and free for kids under 3. At the Movie Park Germany in Bottrop-Kirchhellen, visitors can explore Bikini Bottom, take a wild water ride with Dora the Explorer and meet SpongeBob for an afternoon of fishing. This park, in Bottrop-Kirchhellen, features characters from ”Ice Age” and” Shrek,” as well as from other movies and television shows. In the Wild West section of the park, saloons and barber shops create a replica of a Hollywood movie set. 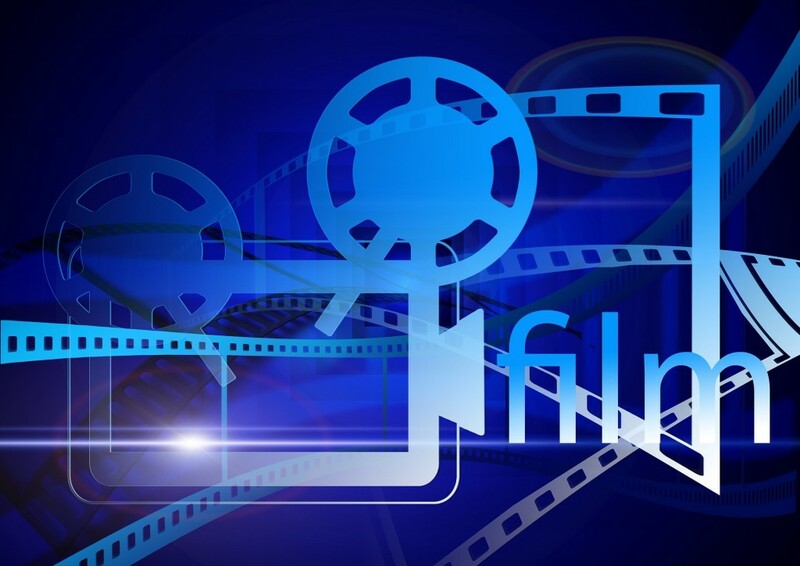 The park also includes several shows, such as the “Shadows of Darkness -The Van Helsing Show” and “Back to the Movies,” where visitors can travel back in time to experience movie highlights of the past decade. Entrance prices run from €29 for children ages 4-11 and €37 for adults. In Bottrop, one hour north of Dusseldorf, is the Castle Beck in which the surrounding area was transformed into a theme park in 1960. The theme park has many moving figures, a scary basement, a children’s playground, a family roller coaster, go carts, kiddie rides, pedal boats, rowing boats, bumping cars, cable cars, a giant slide, trampolines and so much more. Starting in June there will be more room to climb, slide, hide and run around. The new super slide will have suspension bridges, caves and up to 26 feet high tower. Entry prices are €10 for ages 3-15, €11 for 16 and older and free for children under 3. The theme park in Brühl (12 miles south of Cologne) attracts approximately 1.75 million visitors annually. Park goers can have limitless fun, action, adventure, excitement and great entertainment at Phantasialand. The park has been steadily adding new and exciting rides since 2007. In 2010 five rides were added, in 2011 two new rides were added and 2013 a new flume log ride was built and just new in 2016 the them area called Klugheim with 2 new attractions. The park is divided into six theme areas: Fantasy, Deep in Africa, Berlin, Mystery, Mexico and China Town. Passengers can have a cosmic experience in the darkened enclosed roller coaster ride Temple of the Night Hawk, which can be found in the Fantasy theme area. In the Mexico theme part of the park thrill seekers can climb aboard the Colorado Adventure, a Western style roller coaster. Since 2006, the brave ones have enjoyed the Black Mamba, an African themed inverted roller coaster. In China Town check out the Feng Ju Palace as well as many other attractions can be found in the Berlin area. Spectators can catch one of the following performance shows: JUMP!, Relight my fire, Seven, Drakarium, African dancers and China artistry. Additionally, there are several mini shows as well as the opportunity to meet the park’s dragon characters. Entry prices are €29 for ages 4-11 and €45 for 12 and older. Fort Fun, located an hour east of Dortmund, offers action rides, relaxing activities, staged shows, mini golf, overnight stay in a western themed camp and more. Some of the highlights are the “Yukan Raft” ride, which is inspired by canoe trips through the wild waters of the Yukon River; The Secret Stage of Horror, a fun scary house with cutting-edge video technology. Stay overnight in the middle of the forest at the Davy Crockett Camp. At the camp site visitors can play soccer on the pitch, show team spirit at volleyball, have fun on the mini-golf course, go hiking on one of the numerous trails in the surrounding area or finish the evening with a barbeque at one of the picnic areas. Not only can little ones have a fun filled day on rides, they can also get excited about other activities just for them. They can go mining at the Devil’s Creek Mining, go climbing and sliding in the playground or take in an the exciting story about Old McDonald’s Farm. In the town of Kirchhundem (near Dusseldorf), Panorama Park is an amusement located within the Natural Park Rothaargebirge. 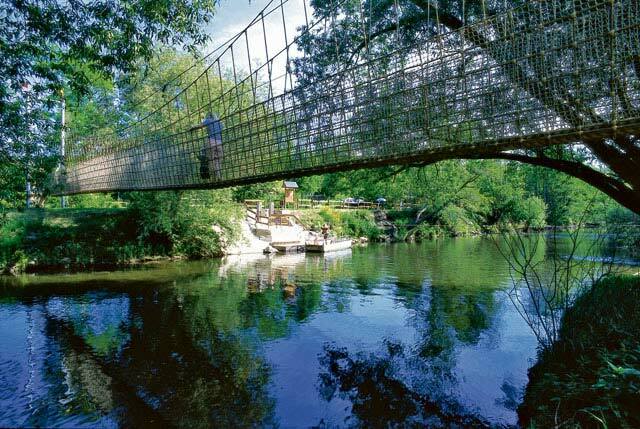 This park consists of a wildlife park as well as various fun family attractions. Discover pure variety and nature in the wild park area with Pano’s Animal School, a petting zoo, the garden, the wildlife and forest trail, miles of hiking trails and more. At Pano’s veterinary school visitors can learn the following about wildlife: rearing, care, body composition, dissemination and more. At the petting zoo the little ones can get up close with rabbits, goats, sheep and guinea pigs. Visitors of the park can see bison, wolves, lynx, otters, deer, wild boars, squirrels and others. Due to the special climate situation and the altitude, some plant species are unique to this region such as Cicerbita alpina (a thistle), Diphasiastrum alpinum (loosely grouped with the fern) and Viola biflora (viola). Also at the park are about 1000 species of the Rhododendrons, a woody plant. Fun at the park includes inflatable, slides, trampolines, play and climbing castles, carousels, power paddle boats and more. The Fun House brings excitement to all with its wobbly ground, terrifying air nozzles and glass maze. Children become filled with jubilation as they zoom along the go carts track. At Eifelpark visitors can have a fun filled day, have a blast on rides, enjoy the outdoors and learn fun facts about plants and animals. Visitors can experience the ride of their lives on the high speed Eifel Coaster and glide with the wind on the “chairoplane”. Highlights for children are the electro-cars and a large slide. The fast ride of the Eifel Coaster offers the perfect recreational fun activity for all ages. All aboard the Eifel Express train as it leisurely ride through the park’s extensive wildlife park. The Chairopane, flying swings, is popular for both young and old. It provides an invigorating experience as riders fly through the air. The Slide Paradise is where parents and children can experience an adrenaline rush as they go down the 60% incline “kamikaze slide”. The Eifel race track, with small electric cars and motorcycles, is the absolute highlight for children. Discover a huge menagerie of animals at the park including bears, wolves, lynxes, wild boars and different types of deer, as well as a petting zoo. Visitors can also experience birds of prey up close during a show and have the opportunity to accompany the animal keepers during feeding time. Eifelpark has four themed playgrounds for the little visitors. The themed Tatze’s Wild West features play horses, coaches, a saloon and even gold panning. Children can conquer the pirate ship and the Admiral’s cabin at Purzel’s Pirate Paradise. Tapsis Castle Tower is where princesses and knights will feel right at home in the Middle Ages. The Climbing Garden is where the young people can spend a day dangling and winging on the wall or on the wobbly bridge. Admission prices are €18,50 (150 cm and taller), €15,50 (110-150 cm),Visitors not taller than 100 cm have free admission. Located on the outskirts of Wiesbaden in the middle of the forest, Taunus amusement park has fun attractions, entertainment and events for families and young children. The park has a log flume; roller coasters for adults and kids; a tube slide; swing boat; trampoline; minigolf; haunted house; train; bumper cars; bouncy castle; carousels; petting zoo and much more. As well, the surrounding forest of the park has plenty to offer for nature lovers and explorers. Taunus also puts on special annual events. For example, come in costume on July 12 &13 for the Western & Country Weekend. Cowboy or indian, step back in time with horseback riding, a rodeo, beer mug sliding, live music, dancing and more. Also August 2-8 is Chilvalry Medieval Days. There will be nine days for knights, peasants and servants to experience medieval life in the forest of Taunus Wunderland with tents, fire pits, and other paraphernalia from the bygone years. Entry prices are €17,50 for kids (100 cm-130 cm), €19,50 for adults and free for children under 100 cm. Located 22 miles outside of Wiesbaden is the 15 acres amusement park with 150 fun games and activities. Instead of being a large and high-tech park, Lochmühle offers variety and diversity in a rural environment. Children can go down a slide, ride on a carousel or roller coaster, go rafting on the Erlenbach River, go on a pony ride, pet and feed animals, participate in the milking contest, take an educational journey down the Roman trails or tour the whole park in the Polo Express. As a former corn mill farm, Lochmühle has retained its agricultural character even still today. The park’s tractor ride can take visitors on an educational and fun journey about agricultural as well as provide an insight into everyday farm life. Ticket prices are €12 (90-120 cm), €14 (120 and taller) and free for kids under 90 cm. Located just northeast of Frankfurt, Steinau Amusement Park is the biggest amusement park in Hessen. The park offers a mixture of fun attractions and agricultural sightseeing. Visitors can speed down a long toboggan run, go on a treasure hunt, have a picnic or barbeque, sunbath in sun, have fun at the petting zoo or visit an agricultural museum. Attraction rides include a carousel, a roller coaster, a mini Ferris Wheel, electric cars and others. Games and activities offer wall climbing, jumping on a trampoline, tube sliding, water pistol shooting, an archeological excavating and many more. Entry price for visitors is €14 (1,30 m) €12 (1-1,30 m) and €9,50 for seniors 60 and older. Kurpfalz is located in the middle of the Palatinate Forest, about 45 minutes east of Kaiserslautern. At the park visitors can enjoy a roller coaster, free fall slides, tube slides, toboggan run, chair lifts, cable cars, bumper boats and so forth. Fun activities for children include climbing the Pirate’s Nest as well an adventure playground, a play castle, a petting zoo, a puppet theater, a maze and more. Being located in the forest, there are also educational games and activities about nature as well as a forest trail to explore. Visitors can also catch the Palatinate Express to explore the fun and educational wildlife park. There are thousands of educational things that can be discovered in the park, not to mention the bird show and the water fowl and trout ponds. See the animals such as the lynx, the moufflon, the fallow and red deer, wild boars, falcons and eagles and others. Entry prices are €13 for ages 4-14 and €15 for age 15 and older. With more than one million visitors annually, Holiday Park is one of the most visited amusement parks in Germany. It is located in Haßloch, one hour east of Kaiserslautern and one hour south of Wiesbaden. Its Free Fall Tower was the first amusement ride of its kind in Europe and it still is the most popular ride at the park. Thill seekers come from a far just to ride the Expedition GeForce, a steel roller coaster that travels up to 75 mph through a course of a quarter of a mile long with seven periods of weightlessness. This rides reaches 174 ft above ground. The newest ride opening this April is the Scream Sky. This action-packed catapult roller coaster shoots the train from the station, passes perpendicularly into the air and then roll headlong into slow motion above a 130. There are various fun water rides that the entire family can enjoy. The little ones will get a kick out of the dancing fountain as the rhythm and the streams of water constantly change. The Thunder River water ride ventures through a raging water and then passes caves and waterfalls. Entry prices are €9,99 for kids 85 cm-1 m, €27,50 for kids (1-1,40 meters) and €29,95 for all visitors over 1, 40 meters. Tripsdrill, located in Cleebronn, is the oldest amusement park in Baden-Württemberg. The park offers water slides, carousels, a wine museum, wildlife park and more. The “Mammoth” roller coaster is one of the main attractions and the largest wooden roller coaster in Germany. In the past 80 years of operation, the park has developed into a major tourist destination with 100 different attractions. Tripsdrill offers water slides, carousels, dancing tea cups and more. The main attractions, however, are the “Mammoth” roller coaster, the largest wooden roller coaster in Germany, and a wild water rafting tour. For those who want to take a break from the crowds, a 47-acre wildlife park is located next to the amusement park. Entrance fees start at €25,50 for children age 4-11 and €29,50 for adults. Schwaben Park is an amusement park located approximately one hour northeast of Stuttgart in the Welzheimer Forest. The park is divided into three areas: action area, fun and adventure, and the animal world. The fast paced amusement sections offers a variety of fun for the young and the old. Two of the most popular rides are the Himalayan Railway ( fast roller coaster) and the Wave Runner (a water ride). The little ones can get the thrill of their lives by hopping on the Bayer Express (a roller coaster), Kids Free Fall, Children Cars (bumper cars), Kids Flume and so many more. The whole family will have an unforgettable experience with unique shows as well as be marveled at the skills of the park’s animals! Other entertainment includes a parrot theater, pet show, children magic, puppet theater and chimpanzees show. 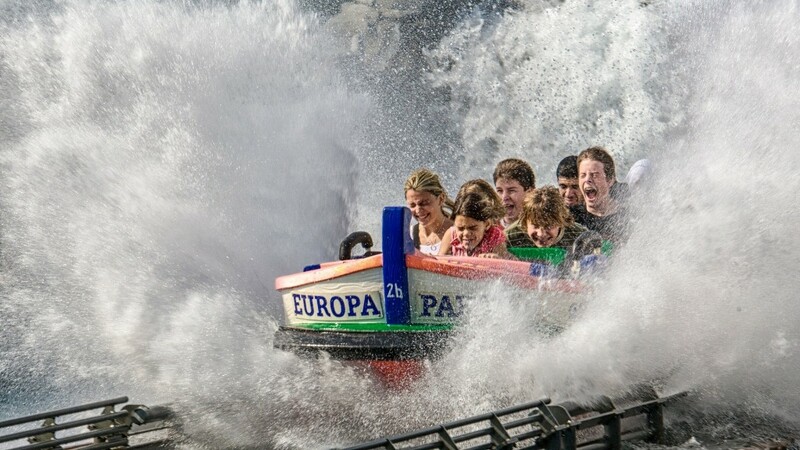 Europa Park, located in Rust, about 175 kilometers southwest of Stuttgart, is divided into 15 different areas, mostly modeled after European countries. Each features the architecture, landscaping, food, shopping and attractions of the country it represents; visitors can ride a London bus in England, or face Poseidon on a water ride in Greece. The park is home to 10 roller coasters, including one of Europe’s highest and largest, the “Silver Star.” The park also offers musical, laser and ice shows, and a 4D cinema. The park’s newest addition is “Arthur in the Minimoys Kingdom,” where three themed areas are transformed into an adventurous journey through nature where visitors will “feel like the brave hero Arthur in the world of Minimoys,” according to Europa Park’s website. Taking a ride on “Wodan Timburcoaster,” Europa Park’s first wooden roller coaster, also promises quite an experience. There are carousels, bumper cars, a beach playground and a water world for youngsters. Entry prices range from €38,50 for children ages 4- 11 to €44,50 for adults pending season. Traumland means dreamland in English. Freizeitpark Traumland in the Swabian Alb, an hour drive from Stuttgart, combines a trip to fairyland with fun rides and games. Young and old can take an adventurous journey of discovery. Discover an imaginative world and experience a day of adventure in the fairytale forest with characters and voices. 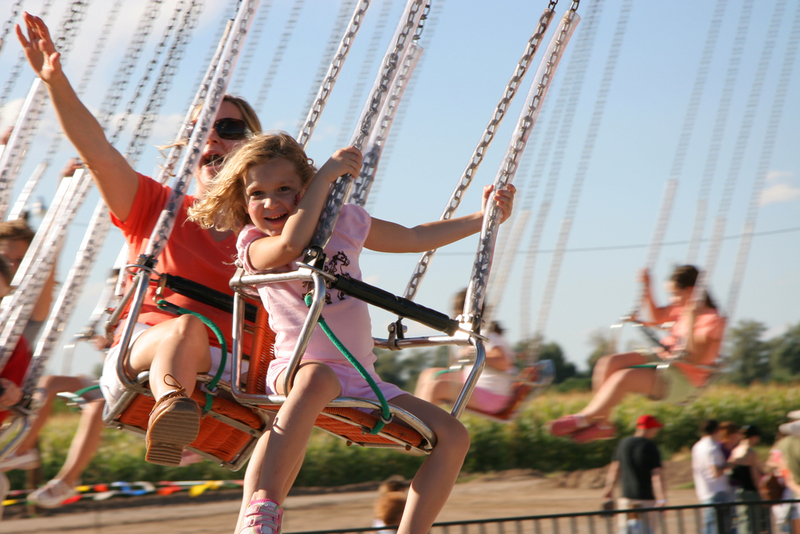 Or hop on one of the popular rides like the children’s flume, slingshot, ferris wheel, Jumping Tower and caterpillar. Little ones can also take a ride on a pony as well as touch and feed animals at the petting zoo. Entry prices are €12,50 for children ages 3-11 and €13,50 for everyone else. More than 50 million individual Lego blocks were used to build Legoland Germany. 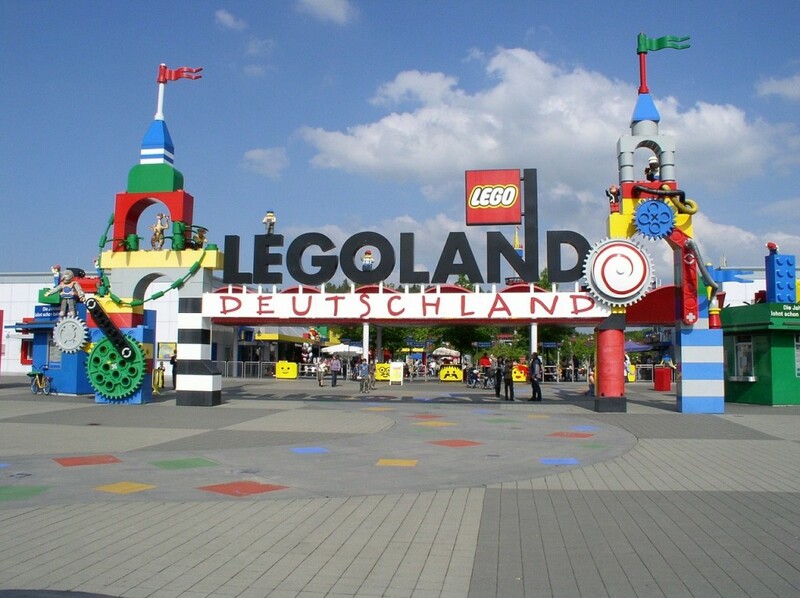 Rides and attractions, as well as one of the largest Lego stores in Germany, await visitors. One of the latest attractions is the “Tempel X-pedition” ride at Legoland’s Pharaoh Empire theme park. Visitors can experience an adventurous ride through the darkness during an interactive treasure hunt. Tickets cost €40 for children ages 3-11 and €45 for adults, but visitors can save money by booking online. Between Munich and Lake Constance lies a magical place amidst incredible mountain scenery. The 47 acre theme park features 50 attractions for the entire family. There are rides for the romantic at heart as well as plenty of fun for the very young. Adrenaline junkies can get their fill on the Sky Wheel, one of the world’s highest roller coasters. The Whitewater Rafting Ride offers a refreshing rush for the whole family. Get your thrills on Germany’s largest bumper car ride and the half of a mile Bob Racing track. Little ones can have their go on the Indian Canoes, the Kiddy Train Ride or the Construction Site Ride. And that is not all! The petting zoo, water playground, trampoline and many more will surely bring a smile to their faces. Tickets cost €26 (150 cm and taller), €20 (110-150 cm) and €16 (60 years old and older). Entry is free for children under 110 cm. Located just outside of Munich, is a great amusement park with an mystical forest that has surprised and attracted the young and old for many years. There are more than 20 illustrated fairytales with 260 animated figures. The tales are told in English and in German. A new special attraction is the Fairytale Tree. This new talking tree will captivate the young and old under a spell with its almost human like facial expressions and precise movements. Also the educational Schnullerbaum (Pacifier Tree) encourages little children to separate from their pacifiers. Entry for kids under 85 cm is free, €12 for children over 85 cm and €13 for adults. Between Würzburg und Nürnberg on the edge of Steigerwald Nature Park lies one of the most popular destinations. Freitzeit has 100 attractions, including four roller coasters, live shows, animal shows, playgrounds, theaters, exhibitions and idyllic relaxation areas. One of the most popular rides at the park is the Heaven Striker in which adrenaline junkies can fly high and free fall. The new roller coaster called the Black Hole will bring butterflies to the stomach with its tight turns and fast dips. A hit for children is Juniors Ballonfahrt & Red Baron which takes them on a fascinating journey in wicker baskets gently toward the sky. Relax after all the action at the petting zoo or just lust at the antics of the monkey. The spacious grounds of the animals invite visitors to a walk around. Entry price for kids under 1.10m is free, over 1.10m is €23, 50 and visitors over 1.40 is €27, 50. This amusement park is located just outside of Nuremberg at an old palace. Thurn Castle was first documented in 1422 and transformed into a Baroque palace in 1737. At the grounds of the castle visitors can enjoy 50 family rides, spectacular shows, relaxation zones (areas to enjoy classical music on the lawn or a place to observe animals), a day in nature and much more. The various rides and activities for children are bumper boats, bumper cars, carousels, trains, dragon boat, a stagecoach, a water slide, miniature golf, creative water playground and much more. Special events range from pirates day, knights & princesses day, to wild cowboy day and others. Entry price is €17,50 for kids 3-11 and €19,50 for adults. Freizeitpark Plohn is located in former East Germany, approximately 1 ½ hours north of Grafenwoehr, and is surrounded by meadows and a forest. Spend the fun-filled day on roller coasters, log flumes, funny boats, go karts, carrousels, bumper cars and many more. And it’s the El Toro that brings thousands of people to this family amusement park as it is biggest and fastest wooden roller coaster in East Germany. The children flock to the park of the Tree House, which is the biggest and craziest tree house in Germany. It has many ways for kids to climb up and six different ways to slide down. The park has a Western theme that offers other exciting adventures for the young and old with the following: the Pony Adventure, Horse and Carriage, Tipi Slide, Western Railway, Silver Mine Roller Coaster, Buffalo Bill Saloon and Western Rodeo. Just north-east of Munich, the Churpfalzpark has been offering something for all ages since 1971. Attractions include amusement rides and a combination of beautiful gardens. The park features unique attractions, restaurants, live shows and theme tours. The various range of rides include high speed rafting ride, roller coaster, flume, carousel, flying swing, children cable cars and much more. All rides (except for machines and quads) are included in the admission price and can be used as often as desired. The various gardens at the park offer an array of colors and smells. Take your pick of the following gardens: Mexican, English, banana, dahlias, palm, and more. Be dazzled by summer flowers, tulips, violas, roses and many more. The annual dahlias show should not be missed! Ticket prices are €19 (ages 14 and older), €18 (ages 6-13) and €15 (ages 3-5). Bayern Park offers exciting adventures for the young and the old! The park features heart thumping roller coasters, gigantic swings and pendulums, a freefall tower, a whitewater rafting facility and much more. No matter what the weather is, the indoor hall offers a variety of leisure time adventures for infants and teens including wall climbing, playground area and more. Also take out your maps and join the adventurous treasure hunt through the park at the new pirate hideout from June 7 to September 14. 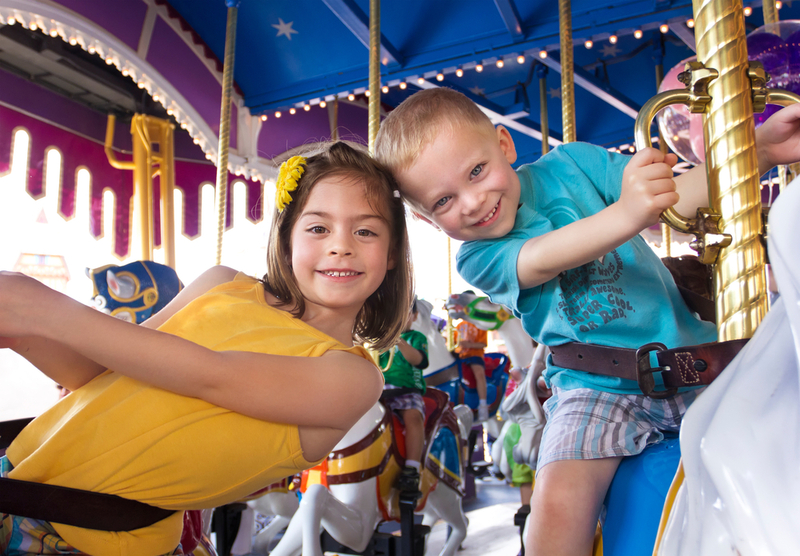 There are more than 17 different attractions to delight the little ones. There are playgrounds, fairytale trains, carrousels, pedal cars, electric motorcycles, a tower slide and more. The colorful kids’ village provides children ages 2 to 6 a place to practice how to be grown up with play houses and a tower. In the heart of the forest there is also a small village with nine colorful wooden houses which are connected with one another via wooden ladders, climbing poles, ropes and tunnels. Animals are integrated in the design of the theme attractions. There are currently twelve different animal breeds in outdoor enclosures. Don’t miss the spectacular bird show featuring eagles, vultures, falcons and other birds of prey. 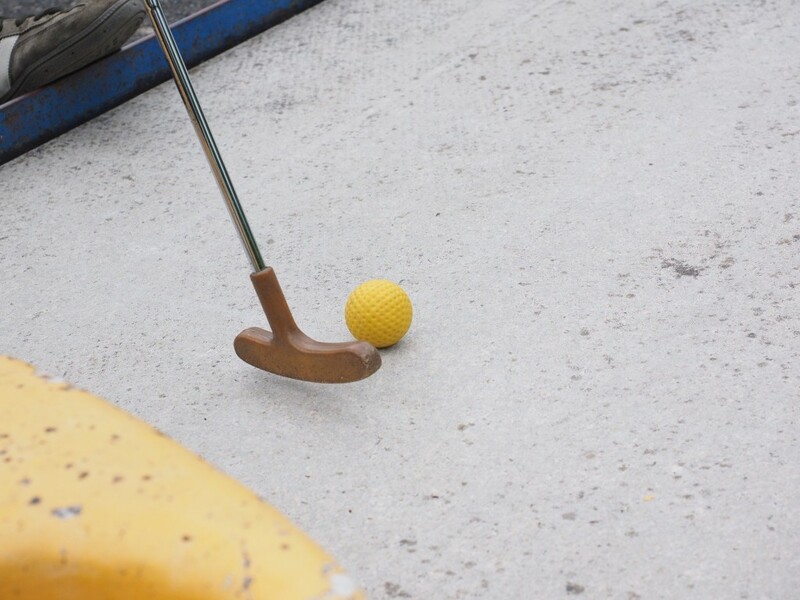 Entrance prices are €19.50 for adults, €17 for children (100-140 cm) and free for children under 100 cm.